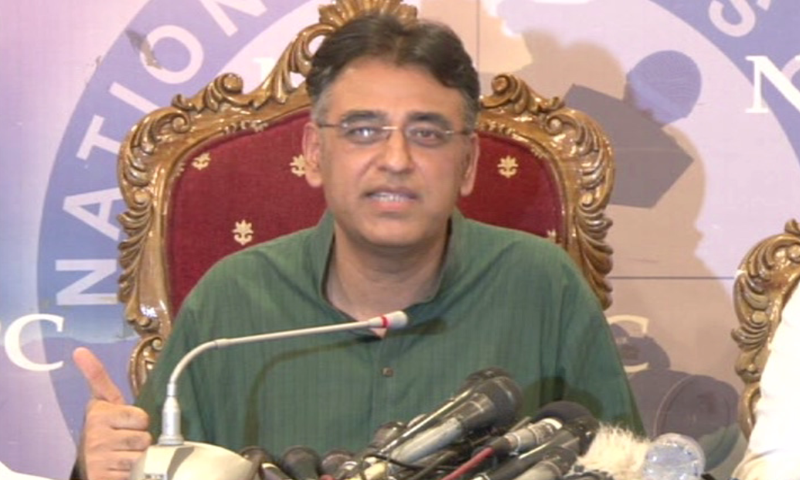 ISLAMABAD: Pakistan Tehreek-e-Insaf (PTI) leader and candidate for NA-54 constituency Asad Umar has reiterated his commitment to get 100 million gallons water per day on priority basis, after getting power, to resolve the water scarcity issue of the capital. He expressed these views while addressing various party meetings and gatherings in different localities. Asad Umar was optimistic to get mandate in the upcoming elections and believed that if PTI government fails to deliver in the first year of its tenure then it has no claim to politics. “I have presented maximum bills for legislation at the floor of the House for the welfare of Islamabad’s citizens which were only opposed by the then ruling party’s lawmakers,” he said. “If his party comes into power, then all the halted legislation would be passed for the betterment of the people in the capital,” he added. He vowed that if PTI Chairman Imran Khan comes into power, then all the national policies would be formed without any external pressure. “It is the job of a leader to unite the nation and not to disintegrate it for personal objectives and motives while Imran Khan is the only leader who has brought the entire nation on a single platform,” he added.